Hello and welcome to exampundit . 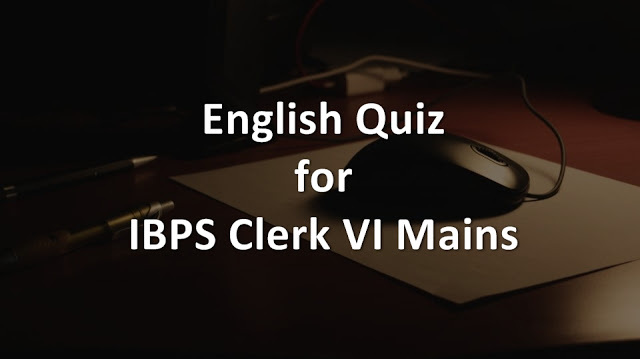 Here is a set of English Quiz for IBPS Clerk VI Mains. meaningful paragraph and then answer the questions given below. ourselves that when the big moment comes, I will show courage. when the big one comes we end up telling a bigger lie. correct, you have to replace the bold part with the correct alternative given below. political parties and civil society groups question its provisions and timing. the possibility of outsiders have killed Kamal and domestic help Uday. into all angles in the case.